At Seattle Sperm Bank, we name our donors. Why? Because our donors are more than anonymous numbers to us, just as they should be for you. Though you may never meet your donor, it’s important for you to know as much about them as possible. We personalize our donors to help you better connect with them and make a more informed decision. It’s all part of our personalized donor-matching service. To see how this works, visit our online donor tool. Along with the donor names, here you will find comprehensive information on all our donors including physical and personality traits. Stats like height, weight, blood type, eye and hair color, and other details are listed. But we don’t stop there. The online donor tool also lets you read about our donors’ backgrounds including hobbies, education, interests, life story, personality traits, and other factors so you can get to know them as people rather than just anonymous sperm donors. You’ll notice the online donor tool also lists the results of each donor’s genetic tests. At a minimum, all donors are tested for cystic fibrosis, spinal muscular atrophy, and karyotyping. Many donors are further tested for many other conditions and diseases and the results are listed under their bio. 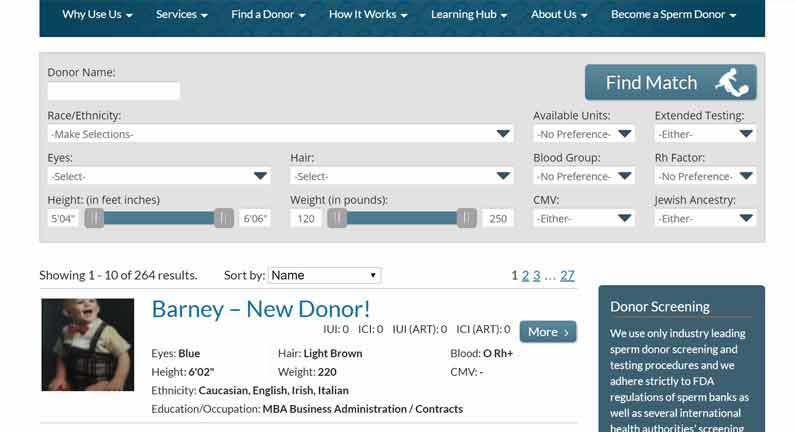 We also offer enhanced features to give you even more information including baby photos, audio interviews, Keirsey personality test results, and staff impressions of donors. Seattle Sperm Bank is the only sperm bank to have all donors evaluated by a counselor who holds a Master’s of Social Work. 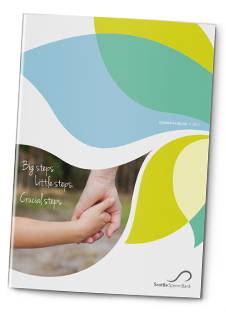 This evaluation, which includes a comprehensive interview, helps donors understand everything about the process, including the possibility of future contact from offspring should they become an open identity donor. It also gives you confidence that our screening process is safe and that we only admit healthy and sound individuals. If you are currently unable to choose a donor or need help using any of our online donor matching tools, we are happy to assist you directly. Simply call us at (206) 588-1484 to schedule a one-on-one consultation. Our staff knows each donor personally, so they can give you insights and advice to help match you with the best possible donor. You may also want to use our free photo matching service. Here’s how it works: first, you send us a list of your favorite donors from our Donor List along with photos of the person you’d like your donor to resemble. We then compare your photos to our list of adult photos of our current donors and get back to you with matches 2-3 days later. If we can’t find enough photo matches, we will recommend other donors who may be of interest to you. Learn about how one family used our photo matching to choose the right donor for them.